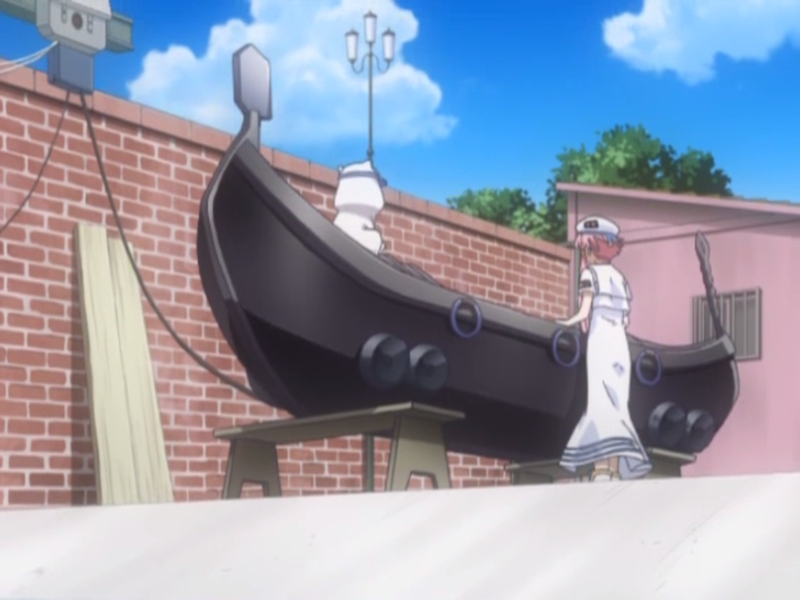 In episode 16 of Aria the Natural we see Akari and Alicia visiting a gondola boatyard, so I did the same. 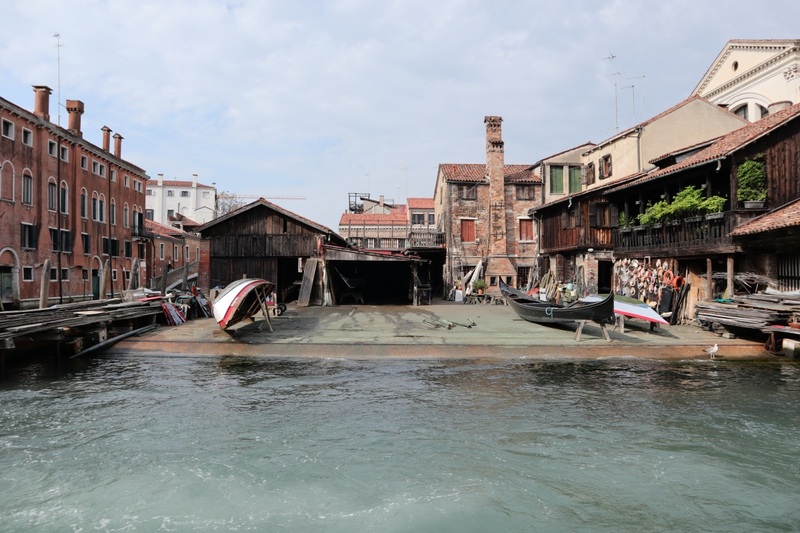 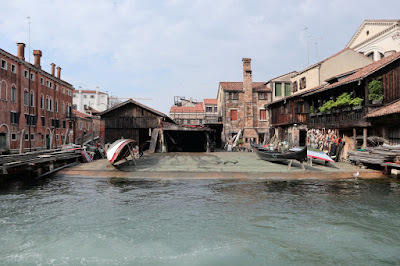 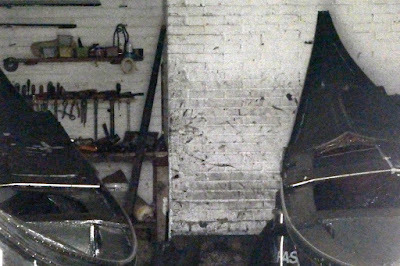 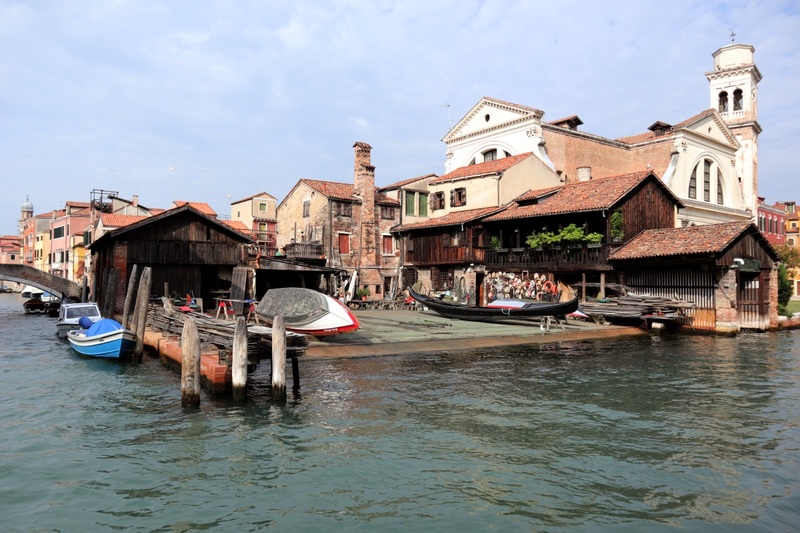 The boatyard at Squero di San Trovaso doesn't exactly match the one seen in the anime. 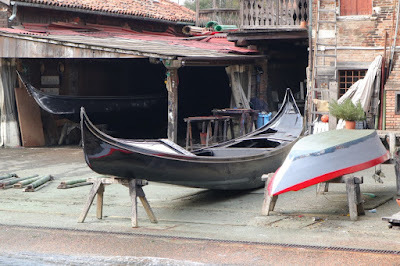 They do work on gondolas here though. 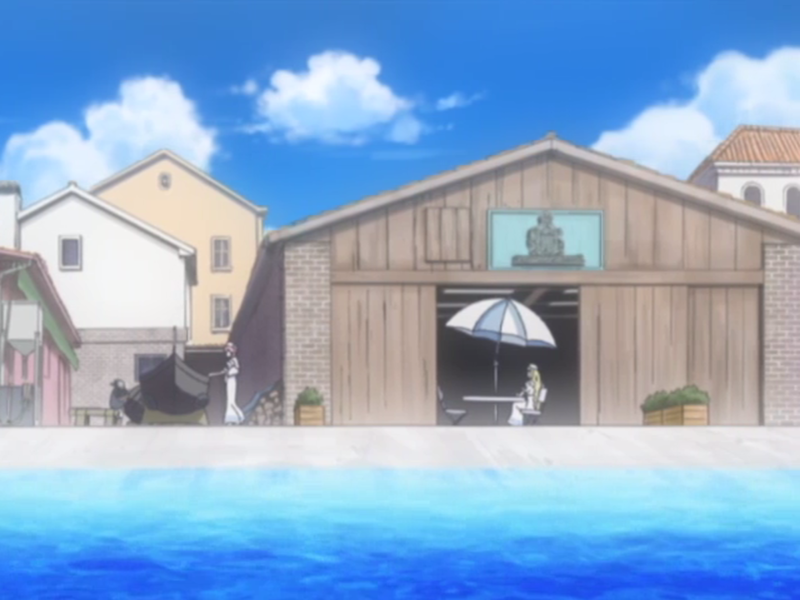 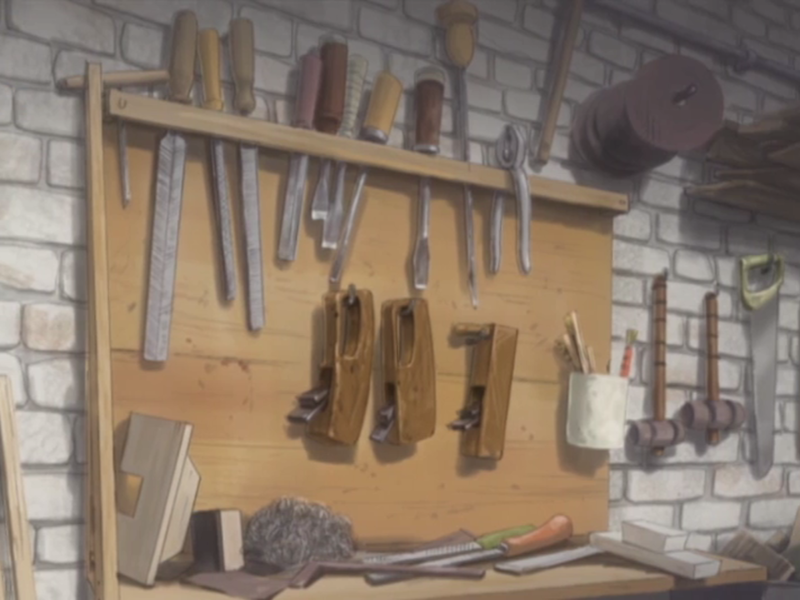 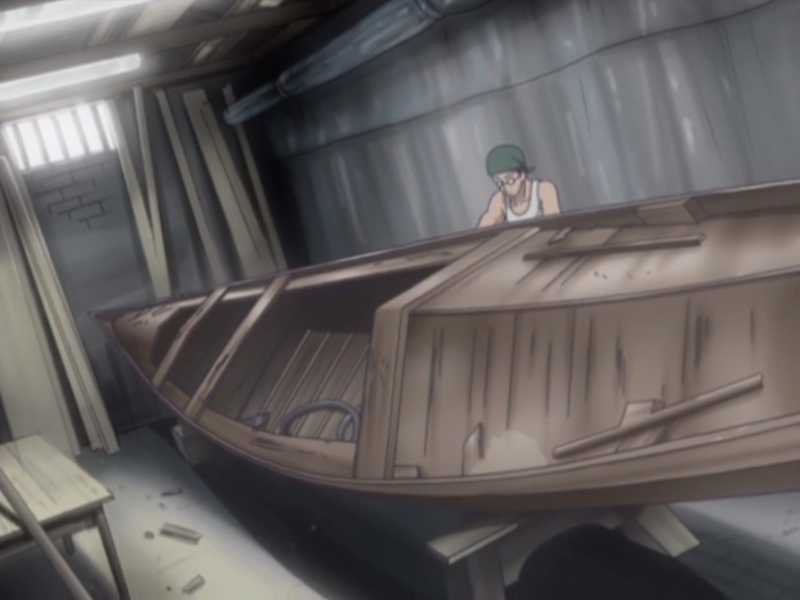 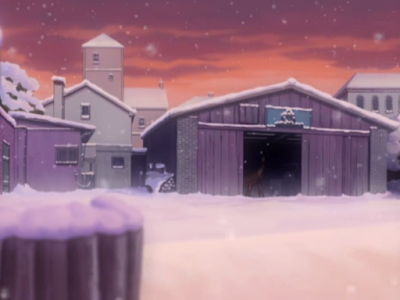 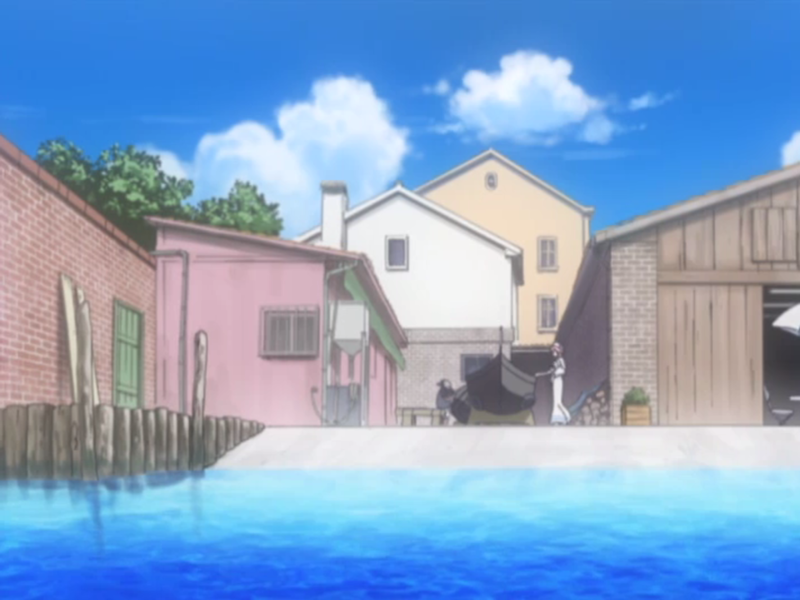 There's a quick shot of the boatyard in the last episode of Aria the Natural as well. 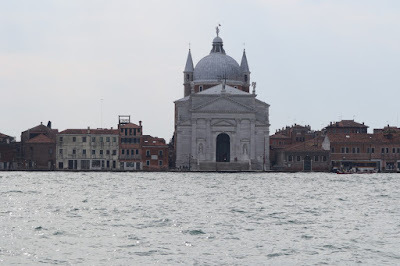 Close to the boatyard you can also get a shot of this church called Chiesa del Santissimo Redentore, also known as Il Redentore, that was shown in another episode. 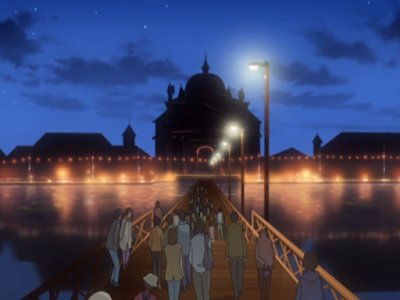 The pontoon bridge in front of the church is only there during the Festa del Redentore in July. 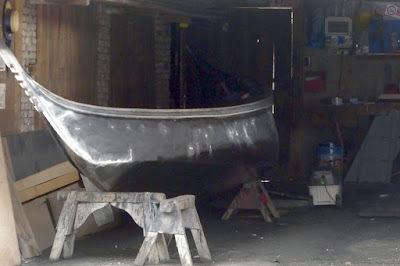 I've marked a path from the boatyard to where I took this picture in the map below.